Hey everyone! I hope this post finds you well. I thought I’d share what I use to cleanse my scalp. Though I never been medically diagnosed but based on my research, I think I’ve got a mild case of Seborrheic dermatitis. This has been a problem for as long as I can remember and it gets worse when the weather changes. If I don’t keep the oily build up off my scalp, I produce enough flakes to supply a mini ski slope. Also my scalp gets quite sore and not just from scratching either. Ironically the soreness would go away when I scratched my scalp with a comb. ACV (Apple Cider Vinegar) Any kind will do. I use the Walmart brand. Sage Tea (This is just sage leaves steeped in heated water then cooled) I use it to cut the ACV instead of just plain water. Lavender or Cedarwood essential oils for preservative (because of the sage tea being made w/water) and for the soothing properties too. I don’t really measure anything but I use approx 2 teaspoons of everything adding one or two more of what I feel I need. First heat the ACV in a pot. Low heat is preferred and even better if you have a glass pot. Add the herbs, put a top on the pot and let them simmer on very low heat for at least an hour. I try to let mine go for 2 hours or more. Then place the mix in a glass jar. I don’t like having to do this all the time so I generally will use 3-4 cups of Apple Cider Vinegar. Make sure the ACV is covering the herbs completely in the jar. 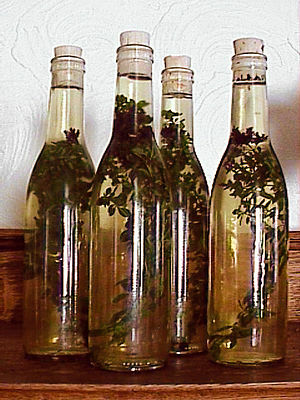 Vinegar is a preservative and by making sure the herbs are covered, they won’t go rancid. After letting this mixture set for a few days though I’ll let mine steep a lot longer, strain the herbs out. Place in the container of your choice. I like to use a mesh strainer first for the big stuff, then strain a second time with knee-high stocking for the small stuff. reasons), I was using the ACV mix straight, no chaser. That was to get my scalp under control which took about 6 weeks. Then I started cutting it with plain water resulting in a 50-50, 40-60 mix. 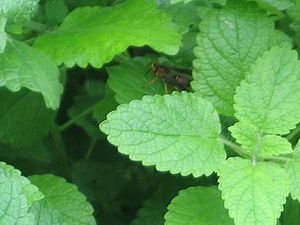 Later I decided to use sage tea since sage has been used for conditioning for eons and is supposed to be quite good for dandruff. I’ve been using this for about 1 1/2 years now and my scalp really likes it. What I do is apply the mixture on my scalp with a spray bottle making sure that I get all areas of the scalp and message in well. Then, I let the mixture set on my scalp for at least 30 minutes. Sometimes I’ll put on a conditioning cap. 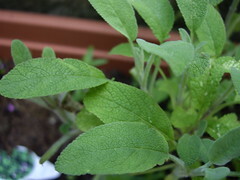 The other herbs and the sage tea cut the vinegar smell down a little bit, however it does not bother me and rinses out easily so no vinegar smell is left in my locs. The result for me has been a better feeling scalp that’s not still sore after washing it and I can cancel the contract to supply flakes for the ski slope in my area that does not get snow. lol As long as I keep up with washing my scalp at least weekly, I’m fine. Otherwise my scalp threatens me with early termination warnings for cancelling that ski slope contract. 🙂 Also note, I don’t put anything else on my scalp. No shampoo, soap, oil or anything else for that matter besides water of course. I also use this as a facial cleanser/toner. Hopefully this will spark some ideas for you to try if you are suffering with this issue. Share your concoctions!